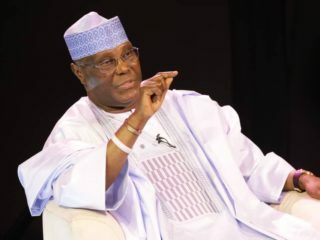 Unlike, past presidential primaries of the Peoples Democratic Party (PDP) where the winner is already known before the contest, the just concluded exercise in Port Harcourt, Rivers State capital that produced the ex-vice president, Alhaji Atiku Abubakar was full of uncertainties and intrigues, until it was concluded. This may not be unconnected with the fact that PDP is no longer the ruling party and the governors, who usually decide where the pendulum swings in presidential primaries lost control of the situation in Port Harcourt, following their inability to agree on a consensus candidate. That was the first time apart from the Jos convention of 1998 that the PDP governors could not agree on a particular aspirant before the convention, thereby leaving the exercise open for any of the aspirants to win. Some of the aspirants who have hoped on governors’ support were disappointed. Besides, out of the 14 PDP governors, two of them-Ibrahim Dankwambo of Gombe and Aminu Tambuwal of Sokoto were aspirants in the race. This was one of the reasons the governors decided to back down on consensus candidate. Now that the battle has been fought, won and lost with Atiku Abubakar emerging victorious, the result showed that some of the aspirants were overrated before the exercise. Others were caught unawares even as some do not have the financial muscles and political structure to battle for the ticket. The outcome has shown that despite the clamour for paradigm shift in leadership recruitment, coupled with the enthusiasm that accompanied the signing into law of the Not-Too-Young-To-Run Bill, majority of Nigerians still prefer the old brigade to lead them, instead of the young turks. Ahead of the Peoples Democratic Party (PDP) presidential primary, former vice- president and one of the contenders for the PDP ticket was among the frontrunners, but was not absolutely favoured for the ticket. This is because apart from defecting to PDP from APC last year, after it was became he could not actualise his presidential ambition in APC, many saw Atiku as a serial defector, who is desperate to be president of the country. Seen as impediment for Atiku in this struggle was his ex-boss, Olusegun Obasanjo’s rabid opposition to his presidential ambition since they left office in 2007. This was despite the fact that Atiku has visited Obasanjo to ask for forgiveness, but to no avail. But the daunting challenges did not deter Atiku, a scion of late Shehu Musa Yar Adua school of politics. With Atiku’s good understanding of politics, he trudged on and commenced consultations on his presidential ambition very early. Knowing that state governors in their usual character may not support his ambition en block, Atiku enlisted the support of the foundation members of the PDP, who constitute majority in Board of Trustees members of the party. Not left out in his supporters’ list are retired military generals, who have been instrumental in deciding power equation in the country since 1999. Also contacted by Atiku for support were the leadership of Afenifere, Ohanaeze Ndigbo, PANDEF and Northern Elders’ Forum. Majority of these people and groups appear disenchanted with President Muhammadu Buhari’s administration. Despite the initial attempt by Rivers State Govenor, Nyesom Wike to blackmail Atiku by making insinuative statements over his alleged opposition to Port Harcourt venue of the convention, Atiku, had through his business allies secured accommodation for majority of the delegates in Port Harcourt. So, when the party finally agreed to Port Harcourt venue, Atiku’s allies quartered majority of the delegates in their booked hotel rooms. That gave him some advantage over others. The governors’ failure to reach agreement on a consensus candidate worked in his favour. 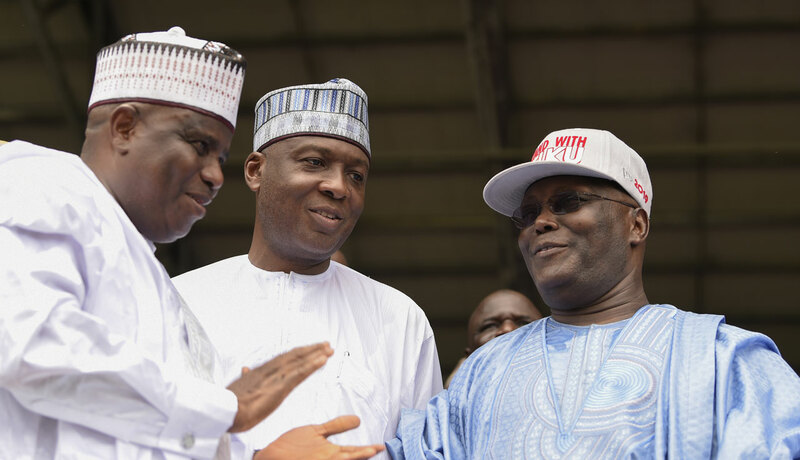 The BoT members, ex-governors and old party chieftains and leadership of most socio-cultural organisations in the country that have been clamouring for restructuring, which is one of Atiku’s campaign promises reached out to governors and PDP leaders from their states to support Atiku. Of utmost contribution to Atiku’s victory in the election was the tactical endorsement by the powerful retired military generals clique, ably represented in Port Harcourt by ex-National Security Adviser, Major-General Aliyu Gusua (rtd). It was already known before the primaries that the governor of Sokoto State, Aminu Tambuwal, who defected from APC to PDP some months ago was the preferred candidate of Governor Nyesom Wike and Ekiti State governor, Ayo Fayose. Wike, who is one of the major financiers of PDP in recent times has arrogated too much influence and power to himself in the party, with the support of others like Fayose. This development did not go down well with majority of the governors, who saw their overbearing attitude as dangerous for the party’s survival and growth. It was for this reason that some people, including aspirants and BoT members were opposed to Port Harcourt venue initially. Their fear was that Wike would influence the outcome in favour of Tambuwal. The Guardian learnt that it was for this reason that the governors failed to reach agreement on a consensus candidate, despite persistent pressure from Wike. Not even the bandying of Sokoto Caliphate’s support for Tambuwal could sway the governors to agree on him as their consensus candidate. Apart from entering into the race late, Tambuwal banked on the support of Wike, some governors and the party leadership, which Wike has enormous influence on to win. He was disappointed when the governors failed to reach agreement on consensus candidate. It could be said that known Wike’s support for Tambuwal worked against his emergence. Again, some PDP members, especially from the North, who knew Tambuwal’s political trajectory as a serial defector, overambitious and scheming politician worked against him at the convention. Apart from Wike and Fayose, other governors prevailed on their delegates to vote against him. Now that Tambuwal has lost the PDP presidential ticket, it is hoped that the winner of the Sokoto PDP governorship primary, Mr Manir Dan-iya will withdraw for Tambuwal. If not, Tambuwal will end up as the only governor of the state since 1999 to serve for one term. Just like Tambuwal, Senate President Bukola Saraki joined the race a bit late. His entry into the race changed the equation as he campaigned vigorously across the country. The plank of his campaign was that it was the turn of the Northcentral geopolitical zone to produce president. His argument enjoyed the support of another presidential aspirant from the zone, Senator Jonah Jang. But that was not enough to sway delegate’s votes for Saraki in Port Harcourt. By the number of votes Saraki polled, it was obvious that not even all the delegates from the National Assembly voted for one of their own in the race. It was clear also that some delegates from Northcentral states did not vote for Saraki en masse as expected. This was despite the fact that he campaigned for power to be given to the Northcentral region. Besides, it was obvious before the primaries that the odd did not favour Northcentral region. Saraki’s campaign slogan was perceived as emotional and sentimental. Saraki should take solace in the fact that he got back his senatorial ticket after losing the presidential ticket. 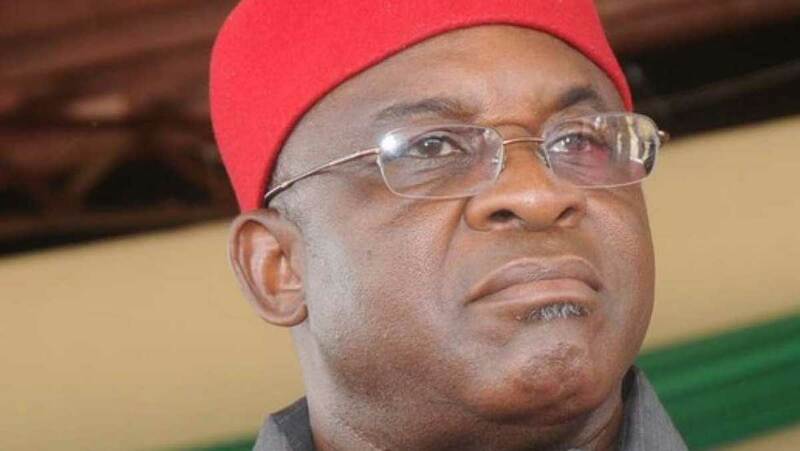 But whether he will come back to the Senate to be Senate President again or an ordinary floor member like David Mark will be known after the 2019 elections. Even before the primary, Jang was seen by many as more of a pretender than a contender for the presidential ticket. Before declaring his presidential ambition, Jang said he would not contest for his senatorial seat again. Dissecting activities during his presidential declaration in Jos, one needs no soothsayer to know that Jang was not serious and prepared for the battle. After the declaration, not much was heard from Jang. While other aspirants canvassed for votes from delegates across the country, Jang was nowhere to be found. It was not surprising that Jang polled only 19 votes, meaning that not all Plateau delegates, where he served as governor for eight years and senator for four years voted for him. Well, it is on record that Jang contested the PDP presidential ticket and lost. Senator Datti Baba Ahmed was among the early contenders for the ticket. His billboards adorned strategic locations across the country. He is a politician with rich business and academic backgrounds. He was the youngest in the race. He was a member of House of Reps representing Zaria Federal Constituency in 2003. In April 2011, he became a senator representing Kaduna North senatorial zone, after defeating Senator Ahmed Makarfi and others. He is the Pro-chancellor and founder of Baze University Abuja. Despite all his intimidating credentials and background, Datti polled only five votes. This showed that winning election in Nigeria is still far from being an intellectual exercise or a matter of how young or sound one is. It is all about having a heavy financial warchest and political structures especially at the grassroots. Mark’s entry into the presidential race was like an afterthought. Just like Saraki, he joined the race late and has little chance to campaign far and wide. Unlike his co-aspirants from Northcentral, Saraki and Jang, Mark never bought into the idea that it was the turn of his geopolitical zone to produce president. His position was that the region does matter so far it is one Nigeria and one people. This campaign slogan did not garner votes for him at the convention as he polled a paltry 35 votes. Mark’s performance at the convention showed that he lacks political following across the country, even after being the longest serving senator and the longest serving Senate President in Nigeria since 1999. Henceforth, it should be known that Mark is not as popular as he may want, rather he has able to latch on opportunities to remain politically relevant since the return of democracy in the country. The Kebbi-born renowned lawyer was not a heavyweight politician before now. He was more of a professional, until his appointment as Minister of Special Duties during Goodluck Jonathan’s administration. He banked on the support of the ex-ministers, especially those who served with him in Jonathan government. He was touted to have enjoyed the blessings and support of Jonathan and retired generals, but Atiku’s entry into the race changed the equation for him. His performance was not a surprise to anybody, considering that he was not among the favourite contenders for the ticket. He was among those aspirants Wike referred as APC moles in PDP, perhaps, because of the professional relationship between him and the Minister of Justice, Abubakar Malami (SAN), who cut his teeth in his law chamber. Former governor of Jigawa State was among the early contenders for the ticket. He was visible in the media and in the field, hurling attacks at President Muhammadu Buhari’s government. He was prepared for the race, but his preparation didn’t yield the expected result. He is a foundation member of the PDP and has been nursing presidential ambition before now. It would be recalled that in 2015, he tried to contest against the incumbent, President Goodluck Jonathan for the party’s ticket, but was blocked by the party leadership, who gave Jonathan right of first refusal and made him a sole candidate. 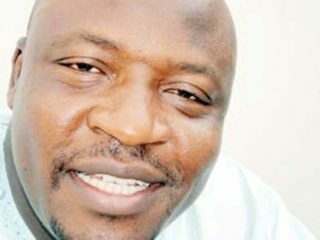 Hanging on his neck is the case of alleged fraud by Economic and Financial Crimes Commission (EFCC). It was one thing, apart from limited education that observers believed worked against his interest. Besides, there were too many presidential aspirants from Northwest region, which brought about splitting of votes among them. Bafarawa is an ex-governor of Sokoto State and a foundation member of the defunct All Nigerian Peoples Party (ANPP). He was among those who worked for the successful merger of the major opposition parties to form All Progressives Congress (APC) in 2015. 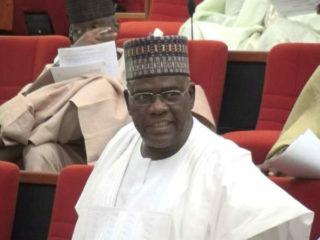 He left APC to PDP before the 2015 general elections, following the defection of his successor, Aliyu Wammako to APC and the party leadership’s directive, making Wammako the party leader in the state. That was how Bafarawa joined PDP at twilight of Jonathan’s administration. Despite his defection, APC won the governorship and presidential elections in Sokoto in 2015. Before joining the race for the PDP presidential ticket, Bafarawa was discharged and acquitted of fraud charges leveled against him by the EFCC. Many believed he joined the race to pose an obstacle to Tambuwal’s ambition. Tambuwal was at a time, Bafarawa’s godson before they fell apart after 2007 elections. Since then, they have been on different pages politically. With Tambuwal’s defection to PDP again, it is to be seen how both will work together, having lost the presidential ticket. Bafarawa’s performance during the primaries was not a surprise, because he was not among the top contenders. Besides, he lacks the financial wherewithal to prosecute a serious campaign, having been out of political office since 2007. Dankwambo is the outgoing governor of Gombe State and estranged godson of his predecessor, Senator Danjuma Goje. He was among the favourite contenders in the beginning of the race. At a time, it was rumoured that his colleagues would adopt him as their consensus candidate for the ticket. But along the line, the whole noise about him fizzled out and Dankwambo’s chances began to dim. That was why few days to the convention, he was not counted among the frontrunners. Now that he has lost the presidential ticket, he can pick the senatorial ticket of Senator Bayero Nafada, who is the PDP governorship candidate in the State. Makarfi, an ex-governor of Kaduna State and Senator was also ex- National Chairman Caretaker Committee of the PDP at the peak of protracted leadership crisis that rocked the party. 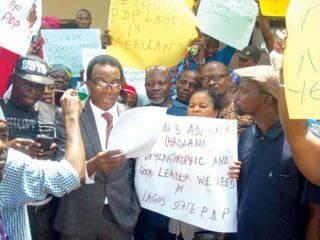 It was alleged that the governors had promised him the party’s presidential ticket for standing firm during the leadership crisis. But just like every other political promise or agreement that was never cast in stone, the PDP governors’ failure to reach agreement on a consensus candidate affected Makarfi’s chances. Even at that, it was disappointing that when the governors tried to agree on consensus candidate, Makarfi was not an option. It was as if Makarfi was used to rescue the party and his place in history cannot be denied. Kwankwaso was one of the aspirants whose performance in the contest surprised many people, considering his seeming popularity at the grassroots. His Kwakwansiya movement has become a household political group across the country with red cap as their trademark. The basis of Kwankwaso’s campaign was that the Northwest region has the highest number of votes and should be allowed to produce a presidential candidate that can match Buhari’s popularity in the region. But the sentiment did not sway votes in his favour. Besides, the Northwest zone has the highest number of presidential aspirants. 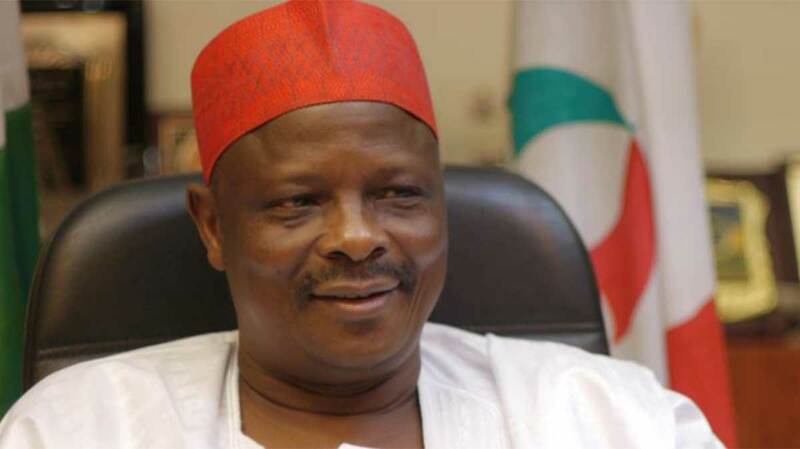 Other factors that worked against Kwankwaso were his perceived irredentism, fanaticism and arrogance, coupled with his failure to work with Ibrahim Shekerau and the imposition of his son-in-law and ex-commissioner, Abba Kabir Yusuf as the PDP governorship candidate in Kano State. According one of Kwankwaso’s strong supporters, Mallam Buba Galadimma, the alleged support and endorsement of Atiku by the retired military generals in Port Harcourt by the appearance of Major General Aliyu Gusua (rtd) at convention venue affected Kwankwaso’s chance. But some political observers are of the opinion that some of the aspirants, including Kwankwaso and Tambuwal were overrated before the convention.